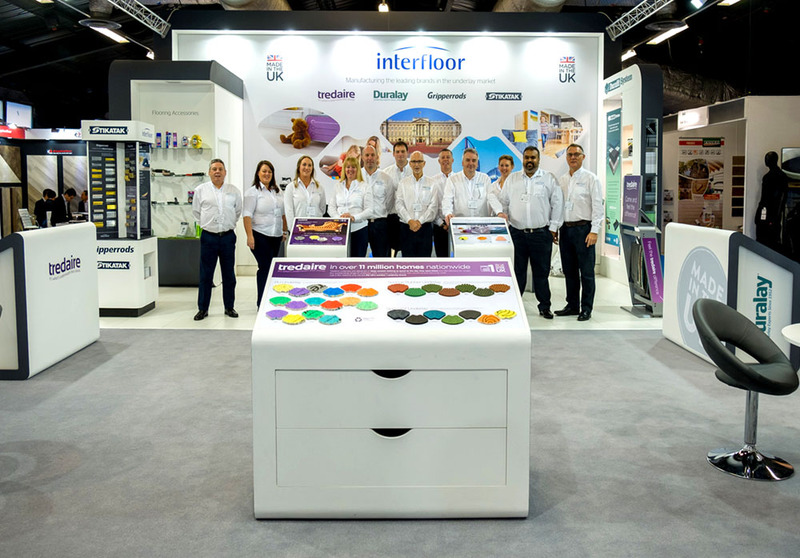 Les détaillants et installateurs qui recherchent un fournisseur fiable et réactif pour tous leurs accessoires de revêtements de sols doivent se rendre au stand d’Interfloor au Harrogate Flooring Show de cette année. The UK manufacturer continues to prioritise the highest levels of service for customers of its quality range of almost 1000 flooring products and accessories from the market’s most trusted brands including Tredaire, Duralay, Gripperrods and Stikatak. New for 2017 is its range of Premium High Density (PHD) underlays, introduced following rising demand for more luxurious flooring products suitable for use in all areas of the home. The three products in the new Premium High Density (PHD) range are all 180kg/m³ and offer superior protection for carpets that is longer lasting and better performing. They all have excellent heat insulation properties and high acoustic ratings to reduce noise, plus they are made from 100 percent recycled foam. New PHD Chromium 9mm, the standout PU underlay in the range, has high-performance Textron backing to give it more dimensional stability and cleaner cutting during installation as well as exceptional ‘shock absorber’ properties to help give it a longer life. PHD Titanium 8mm and PHD Palladium 10mm have a polyethylene with reinforcing scrim backing, which also helps increase dimensional stability, is resistant to tearing and is easy to cut and trim. “Consumers will love the high-performance features of our new PHD underlays, while fitters can’t fail to be impressed with how easy it is to install. We are sure the range will be a top choice for all areas of the home,” added Mr Cowley. Visitors to the Contract Zone, a new addition to this year’s show, will also be able to catch up with the latest improvements to Interfloor’s world-class stick-down system, Duralay Durafit. Used for over 35 years for heavy-wear contract installations all over the world, the Durafit System is the only underlay that has adhesives specially designed to work with it. Its exclusive new woven polypropylene backing for superior dimensional stability is black, meaning adhesive coverage can be seen clearly ensuring no areas are missed. Interfloor will also unveil the latest addition to its market-leading Gripperrods range of installation accessories for professionals. New for 2017 is a branded metals edging range which will make it easier for customers to choose genuine products, giving them a quality guarantee and total peace of mind. The new edgings are available in polished aluminium, anodised gold, matt gold and matt silver.